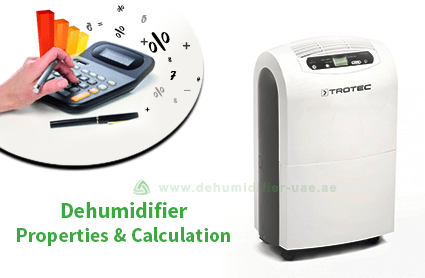 As we all know Dehumidifier is one of the most basic home appliances in a place such as UAE. Different types of dehumidifiers with different capacities are required for different locations. Our company Vacker UAE provides different types of dehumidifier for homes, offices, industries etc. Our company is active in the UAE region focusing its services mainly in cities such as Abu Dhabi, Dubai, etc. A Dehumidifier is a machine which is capable of absorbing moisture present in the air of a location. This helps in reducing the humidity level of the location. This helps to maintain proper comfort level of a living space. Dehumidifier protects us from the adverse effect that can be caused due to high humidity. It also helps in protecting different types of valuable properties that could be damaged by high humidity. There are different types of dehumidifiers available in the market but generally these dehumidifiers can be divided into two types which are known as refrigerant dehumidifiers and desiccant dehumidifiers. The working process of refrigerant dehumidifiers and desiccant dehumidifiers is very much different although both dehumidifiers common goal is to bring down the humidity level of the air. They are generally good for high temperature environment. They draw in the air of a living space through a filter. The drawn air is passed over a cold coil where the moisture in the air is condensed and the dry air is released in the living space. These dehumidifiers are a good choice in a place like UAE. They are generally good for lower temperature environment. A certain absorbent is used in this type of dehumidifier which absorbs the moisture in the air. The absorbent is then heated which results the collection of water in the water tank. They generally tend to use more energy than the refrigerant dehumidifiers. Well there are different capacities of dehumidifiers available in the market and the capacity of dehumidifier we use is related to many factors the main factor determining the capacity of the dehumidifier is the area of the place where dehumidifier is to be installed. The capacity of dehumidifier is determined by the pints of water it can remove from air in the time period of 24 hour. These dehumidifiers are useful for the space having area of 500 square foot to 2000 square foot with moderate dampness in the air. These dehumidifiers are appropriate for a living space having area 2000 square feet. If these dehumidifiers are used in very damp place such as the basement then it is better to use in area up to 1500 square feet. These are also suitable for living space containing area of 2000 square feet but these are good for very damp environment. These dehumidifiers are useful for the living space having more than 2000 square feet of area. These type of dehumidifiers are generally used for large industrial space.